Why is the Portable Charcoal Range so good? Wherever you want to barbecue, whenever you want to barbecue – with that great Weber flavour. That’s the idea behind Weber’s range of portable charcoal barbecues. 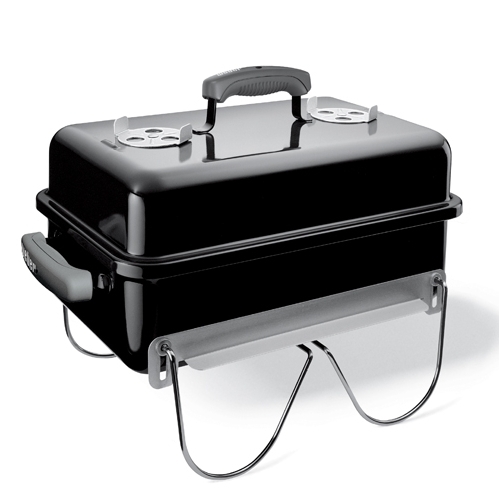 The Jumbo Joe is Weber’s ultimate portable kettle. This 47 cm barbecue is big enough to roast a whole chicken or leg of lamb, but with the lid locking system, it’s so easy to pick up and take with you. Enjoy Weber charcoal flavour anywhere: at the beach, while camping, at a picnic or at home. The Jumbo Joe is the perfect blend of capacity and portability.